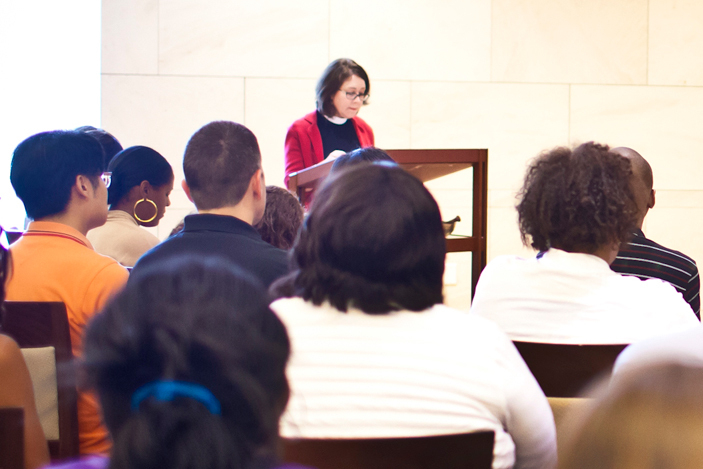 Candler School of Theology hosted a prayer vigil at noon on Friday in response to the shooting at Charleston’s Emanuel AME Church. 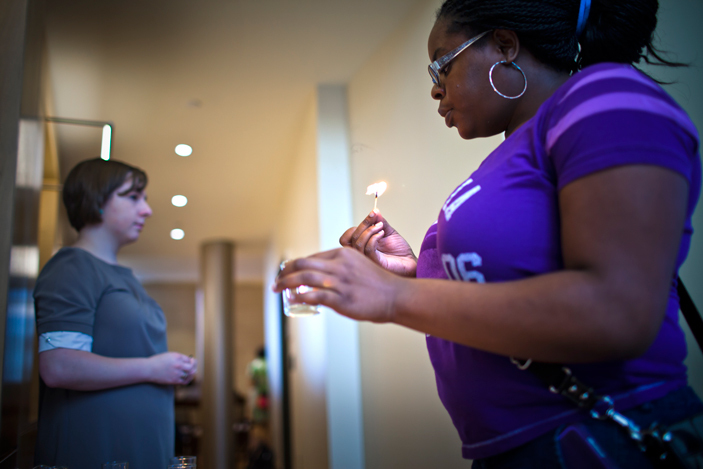 Attendees lit candles as they entered the Wesley Teaching Chapel, which was standing room only by the time the vigil began. Nine candles were placed on the altar in memory of the nine people killed and their names were read aloud in prayer from the pulpit. Periods of silent prayer alternated with prayers and readings from the pulpit. As the vigil ended, some participants came forward to pray at the altar. 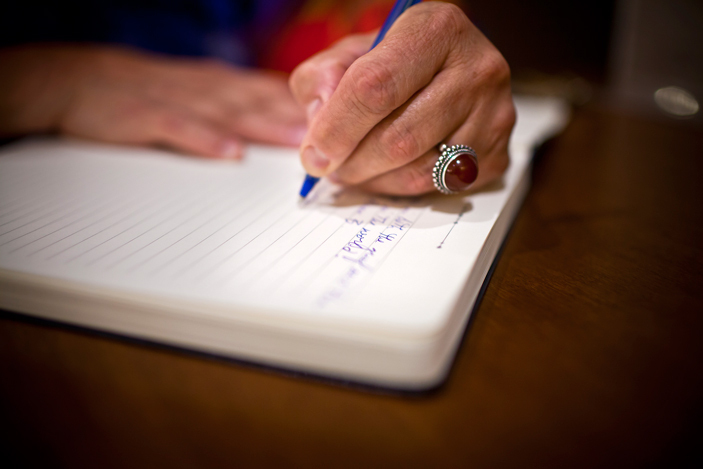 Before and after the vigil, attendees wrote prayers and condolences in a journal that will be sent to Emanuel AME Church. 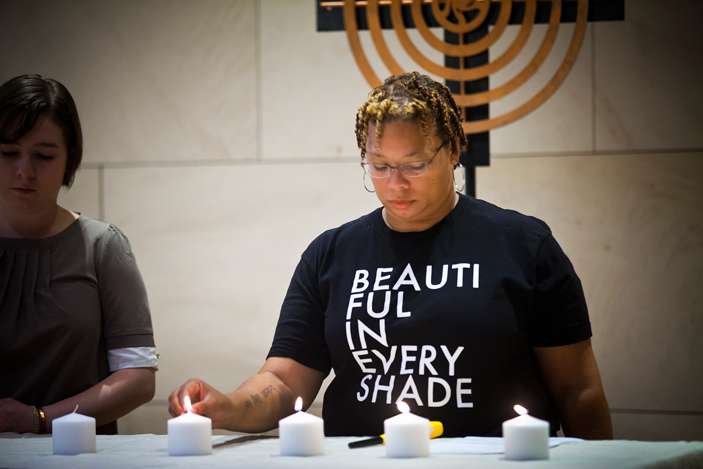 Members of the Emory community gathered Friday at Candler School of Theology for a prayer vigil in response to the attack on a historic African American church in Charleston, South Carolina. 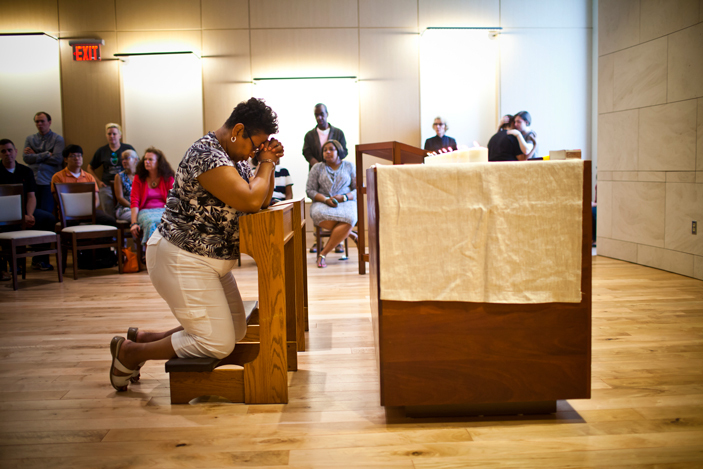 Attendees filled the Wesley Teaching Chapel to capacity, even standing along the sides and in the back to show support and unity in the wake of the shooting at Emanuel African Methodist Episcopal Church. Law enforcement officials are investigating the case as a racially motivated hate crime. 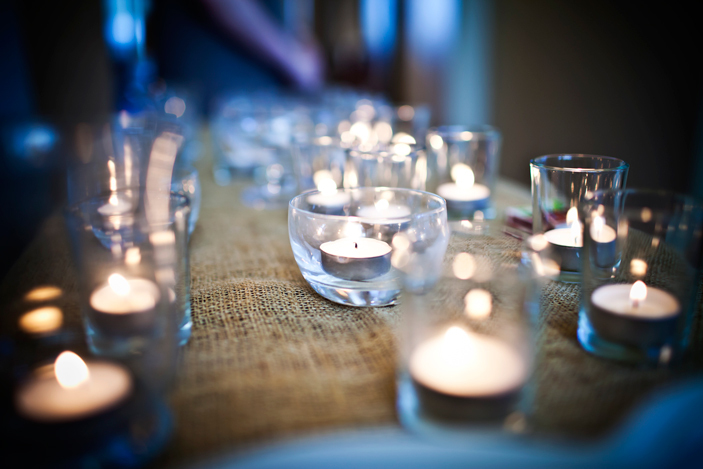 Ellen Echols Purdum, Candler’s assistant dean of student life and spiritual formation, spoke the names of each of the shooting victims as nine candles were lit on the altar in their memory. “We pray especially this day for the souls of our brothers and sisters who have died through violence: Cynthia, Susie, Ethel, DePayne, Clementa, Tywanza, Daniel, Sharonda and Myra, and for their families, friends, colleagues and church communities,” Purdum said. Other prayers and readings were offered by Barbara Day Miller, associate dean of worship and music, and Angela Johnson and Karen Sawyer, both rising second-year master of divinity students who serve as spiritual life coordinators in Candler’s Office of Student Programming. The readings were interspersed with periods of quiet prayer and reflection, the silence broken only by the soft sounds of some attendees wiping away tears. Many attendees remained after the vigil program ended, continuing to pray at their seats or coming forward to kneel at the altar. Those present also wrote prayers and condolences in a journal that will be sent to Emanuel AME Church.